INRI CRISTO is a polemic personality to many people who ignore the transcendental reasons and the difficult mission conditions, granted unto him at this cusp of the Millennia. He was born in the borough of Indaial, State of Santa Catarina, Brazil, on March 22nd, 1948. At the age of thirteen, taken off home comfort, obedient to a voice that speaks inside his head, he lived the reality of social corners. In 1978, submissive to the same voice, he left Brazil. 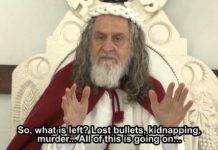 In 1979, when he was fasting in Santiago, Chile, the voice revealed to him as being his FATHER, LORD and GOD, the GOD of Abraham, of Isaac and of Jacob. 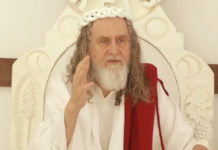 This showed him his true identity, the stages of previous incarnations inside biblical context, since his remotest ancestral beginning, as primordial man, Adam; until Jesus and the meaning of his presence on earth to fulfill the prophecies of the Apocalypse. INRI is Son of GOD’s new name, the name Pilate ordered to write above his head at the moment of crucifixion. It means: Iesus Nazarenus Rex Iudaeorum, that is Jesus of Nazareth, the King of Jews (“To whom that wins… will I write upon him the name of my GOD… and my new name” – Revelation c.3 v.12). 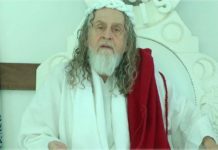 Behold some Scriptures’ predictions concerning his return: “I will come on you as a thief, and you shall not know what hour…” (Revelation c.3 v.3); at the coming of the Son of Man, “first (before his glory day) must he suffer many things and be rejected by this generation. As it was in the times of Noah, so too it will be in the days of the Son of Man” (Luke c.17 v.25 to 35). At the time of revelation, he was clothed with a white tunic, a purple mantle and his feet shoed with simple leather sandals. Conscious of not having free will, he lives only to execute his FATHER’s will. To the ones who accuse him of being insane, he answers: “I am crazy with love for humanity”. 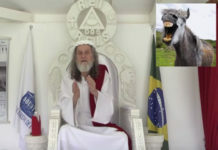 He has visited twenty seven countries and all Brazilian State Capitals, identifying himself as being the Only Son of GOD, Adam, who reincarnated as Noah, Abraham, Moses, David, etc., afterwards as Jesus and now as INRI. Lacking personal identification papers and due to human incomprehension, he was detained several times. 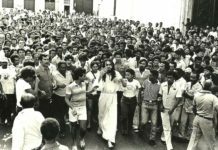 Banished from USA, Paraguay, Venezuela and from England, he was finally received as a landless person in France, the first country to proclaim in the media: “Christ is back on Earth”. 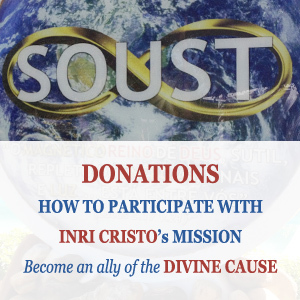 In recent years, the appearance of countless “sects”, “religions”, “christs”, “prophets” and “ascended masters” have contributed to INRI CRISTO being seen with reserve, mistrust and incredulity. It is necessary to establish rational criteria to differentiate between falsehood and truth. GOD would never confuse people by permitting the face, the physique, the language, the authority, the superior wisdom, the teachings, the way of dressing and being and the exclusive mysteries of his Son, to be attributed to a false prophet. 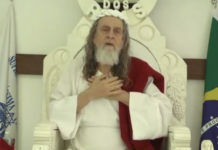 When he was called Jesus, INRI CRISTO prophesied that false prophets would come in his name, show wonders and deceive many, even the elect if it were possible (Matthew c.24 v.5 and 24), while he has come with his “new name”, INRI (Revelation c.3 v.12) and also in the name of his FATHER. In the Bible there are many warnings that the Sabbath is the LORD’s day and that statue adoration is an abomination before GOD’s eyes. “You shall make for yourselves no idols and erect no carved images…to worship, for I am the LORD, your GOD. You shall keep my Sabbaths…” (Leviticus c.26). Priests, divine cause traitors, obedient to Constantine, a roman emperor of ancient renown, teach the Christians to keep Sunday instead of Saturday as the day dedicated to the LORD, since year 321 A.D., according to History Annals. “The idol made with hands is accursed…” (Book of Wisdom c.14 v.8 and 27). “Outside the Kingdom of GOD are idolaters… and whosoever love and make a lie” (Revelation c.22 v.15). “I am the LORD, that is my name; my glory I give to no other, nor my praise to idols” (Isaiah c.42 v.8). 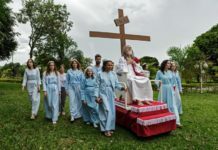 Priests have taught the hoax in their catechisms and impose on Christians to believe, since childhood, that a dummy nailed on a cross and presented to people in churches, in public departments, in cemeteries and particularly on so called solemn religious days, is “Our Lord Jesus Christ”. 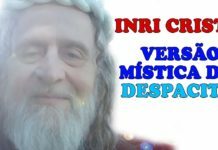 It is only with the ALMIGHTY’s help, much effort and good will, that any can escape this malignancy and see that INRI CRISTO is the returned Messiah. It is imperative to point out that Christ did not order anyone to go to church; on the contrary, he taught to pray at home, in one’s room, with the door closed (“But whenever you pray, go into your closet, shut the door and pray to your FATHER in secret; and your FATHER, who sees in secret, shall reward you openly” – Matthew c.6 v.6). He did never teach or ever sanction: “Hail Mary, holy Mary, mother of God….”, which is the most abhorrent, infamous and insane blasphemy uttered against the LORD of the Universe, in the attempt to denigrate our ALMIGHTY’s majesty. GOD is the Supreme CREATOR, the only uncreated being, the only eternal, the only being worthy of worship and veneration; consequently, does not and can not have a mother. Furthermore, Mary proved her frail human condition when mistaken, possessed of a demon, tried to arrest Christ, with the support of her children, supposing that he was crazy. “They went to a house and the multitude came together again, so that they could not so much as eat bread. When his family heard this, they went to lay hold of him. For they said: he is crazy (Mark c.3 v.20 – 21). “There came then his brothers and his mother, and, standing without, called him. The multitude sat about him and they said: Behold, your mother and your brothers are without, seeking for you” (Mark c.3 v.31 – 32). Christ, warned by his FATHER and shielded by his followers, looking upon them, said: “Behold my mother and my brothers, for whosoever shall do the will of God, the same is my brother, my sister and mother” (Mark c.3 v.33 to 35). If Mary was GOD’s mother (how absurd, a complete delirium, that the Supreme Creator, the only uncreated being, had a mother! ), she would have had, at least, sufficient closeness to avoid making this mistake of persecuting Christ. 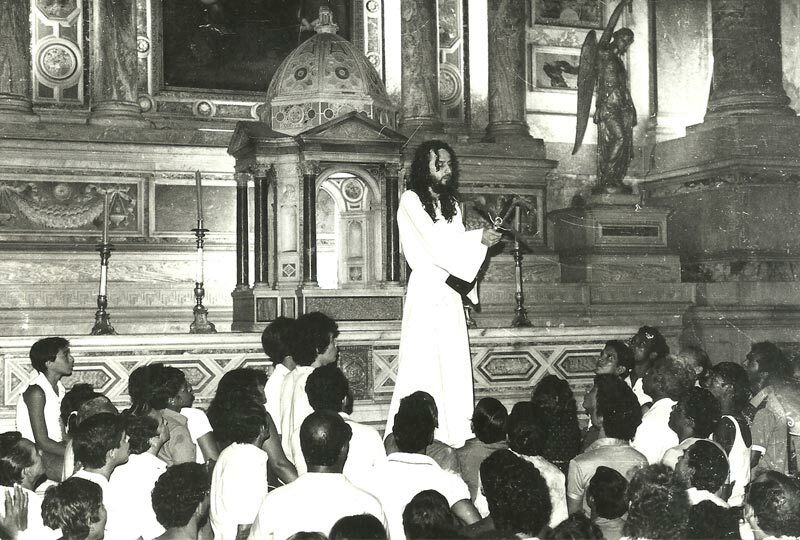 Having already established the New Catholic Order, formalized as SOUST – Suprema Ordem Universal da Santíssima Trindade (Supreme Universal Order of the Holy Trinity), on Sep. 09th 1983, INRI CRISTO ratified the breaking with his former church inside the Vatican’s basilica, in Rome, by pronouncing this unchangeable extinction sentence: “Dry, sick tree, dry! Dry in order that the good tree I planted (SOUST), flourishes to give me and my children, the children of Israel, the fruits you refuse to give”. 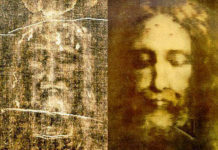 They are the ones that, denying reincarnation, allege Christ resurrected physically and is in heaven in flesh and bone. Christ really resurrected, but in spirit and appeared in spirit to his disciples. The disappearance of his body from the sepulcher happened due to the necessity for GOD’s emissaries to transport his body to an anonymous sepulcher in order to halt the outrages sessions that persisted, even after the crucifixion and consequent disembodiment. The Gospel statements concerning the crucifixion are not clear, purposely fanciful; they were managed for an officially distorted history, on which Christianity has been drugged for nigh on two Millennia. The natural, perfect and divine law of reincarnation is part of the law of life and appears many times transparently in the Holy Scriptures. GOD is perfect and divine law is perfect and eternal. He said to his First begotten, Adam: “You are dust, from dust you were taken and to dust shall return” (Genesis c.3 v.19). Therefore, GOD would not be sending his Son in flesh and bone to ‘heaven’ and subject him to freeze, because in outer space – if that is where his body is thought to be – there is no air to breath or nutrients for body support; with temperatures bordering on -273ºC (absolute zero), this goes entirely against GOD’s natural laws, and would only please the insane who base their lives on the lure of fantasy and lie. “His disciples asked him, saying: Why then say the scribes that Elias must first come? He answered: ‘Elias has already come, and they did not know him, but have done to him whatsoever they wanted’. Then the disciples understood that he spoke to them of John the Baptist” (Matthew c.17 v.10 to 13). “Verily, verily I say to you: Before Abraham was, I am” (John c.8 v.58). 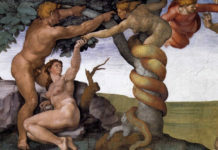 It is explicit here that Christ was asserting to be the First Begotten of GOD, Adam. “Except a man be born again, he cannot see the Kingdom of GOD” (John c.3 v.3). Christ was speaking of reincarnation with Nicodemus. “But I tell you: I will not drink henceforth of this fruit of the vine until that day, when I drink it new with you in my Father’s Kingdom” (Matthew.c.26v.29). 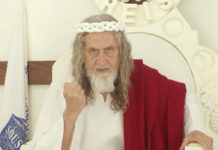 INRI CRISTO, as Jesus, had just announced his own reincarnation at the last supper prior to his crucifixion, since the spirit without a physical body obviously can not drink wine. Now with his FATHER’s “kingdom come on Earth”, as prayed for two millennia, INRI CRISTO shares the fruit of the vine anew, in flesh and bone, with those who acknowledge him. Antichrists are all those who conspire against Christ. Almost two thousand years ago, these vipers, scorpions, swine and dogs obtained the crucifixion verdict through slanders and defamations. They said: “Crazy, liar, deceiver, he stirs up the people since Galilee” (Luke c.23 v.1 to 5). With no prospect of crucifixion without evidence, defaming accomplices (of the Caiaphas plot, “to sacrifice one for the nation”), improvised many slanders against the Son of GOD, and their promotion incited the masses to bark and grunt: “Crucify him! Crucify him! Crucify him!” Pilate washed his hands, in gesture, but intimidated, still condemned Jesus to die. 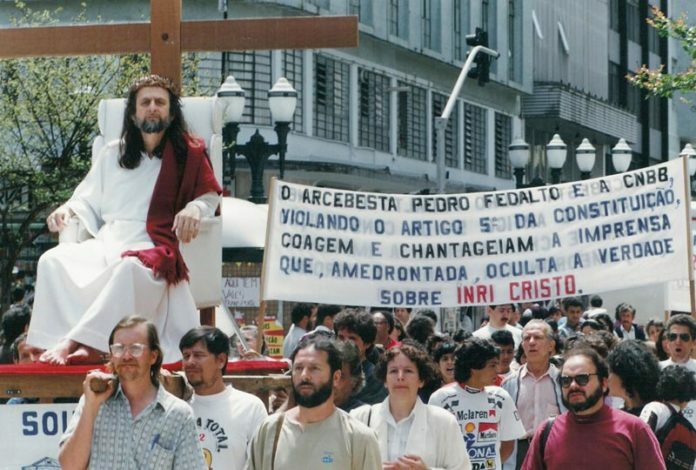 Nowadays, despite of not having prospect of crucifixion, heading the boycott imposed by organized lack of information, religious leaders grunt and bark all kind of slanders against the Son of GOD, while he announces the ending of this chaotic time. Only elimination of mind controlling dogmas and abominable posturing can unshackle blind, enslaved minds to accept these truths so exquisitely revealed about GOD’s gracious servant, INRI CRISTO. “I am the deliverer, I have returned to this world to free my people from false religious yokes, idolatry fetters, fantasy and lies. I love freedom, so I set free the ones I love. If they return, it is because they recognize me and are my children, worthy of my FATHER, LORD and GOD, who is in me. If they do not, it is because they have never been a part of me”. “Blessed are the eyes that look upon me and see who I am. Blessed are the ears that hear me and know me by my voice. Blessed are you that listen to me, because I tell you only what I hear from my FATHER” (part of the Identification Sermon). Coherence, logic and truth are inseparable. The wise meditate with discernment. Whoever spreads this message will be gifted with heavenly blessings.